In the summer, the Holosophic Society Poland (PTH) organized a charity event which took place in Pobiedna, donating various household goods. After the previous charity event, the Holosophic Society Poland (PTH) Board and the Lighthouse Center Poland (LCP) volunteers were inspired to continue the support for the people of Pobiedna with similar events. 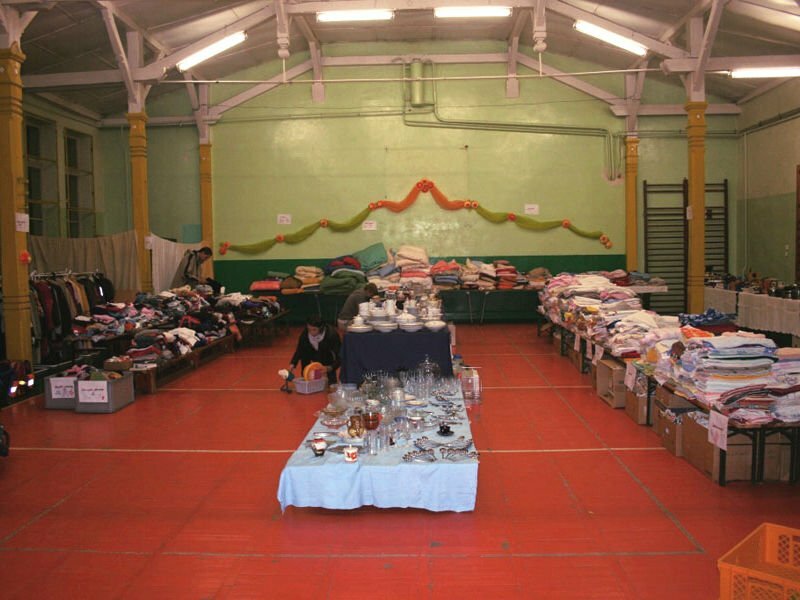 On the day of the event, a large amount of nicely sorted crockery, cutlery, bedding, and clothing donated by friends of the Holosophic Society Poland (PTH) from Germany and Poland, was offered. The donations were gratefully received. Beverages and snacks were offered to all. The children enjoyed coloring paintings in a play area. We thank everyone who supported this successful event with his or her donation!